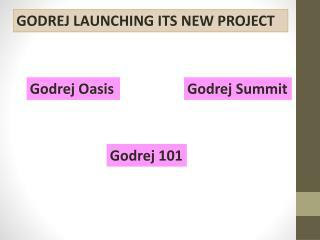 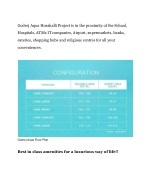 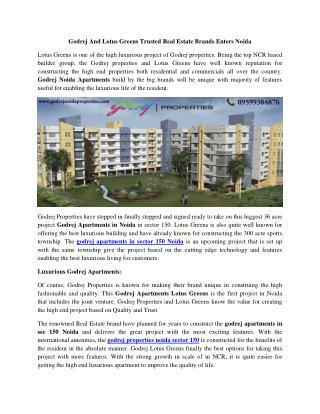 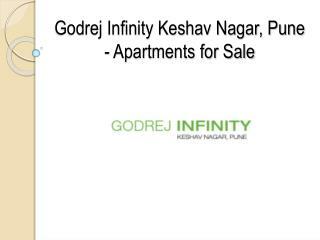 Godrej property is coming with new project called Godrej Aqua. 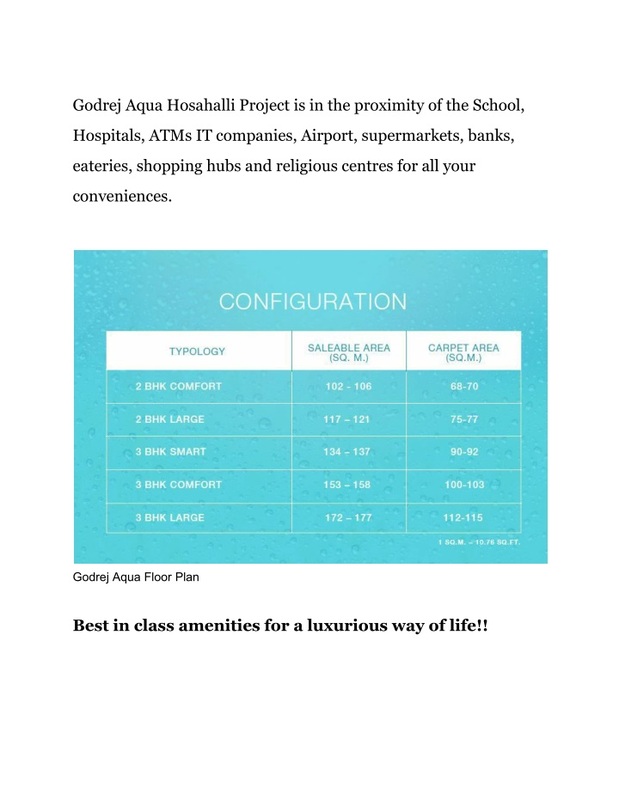 Godrej Aqua is coming new revolution of saving water. 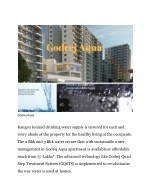 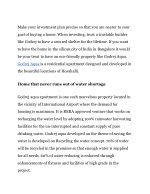 Each drop of water is very impotent so Godrej property is coming with water saving plan. 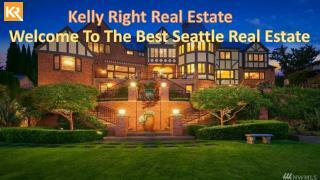 Home is the place where the heart is!! be your lucky year to have the home you desired!!. 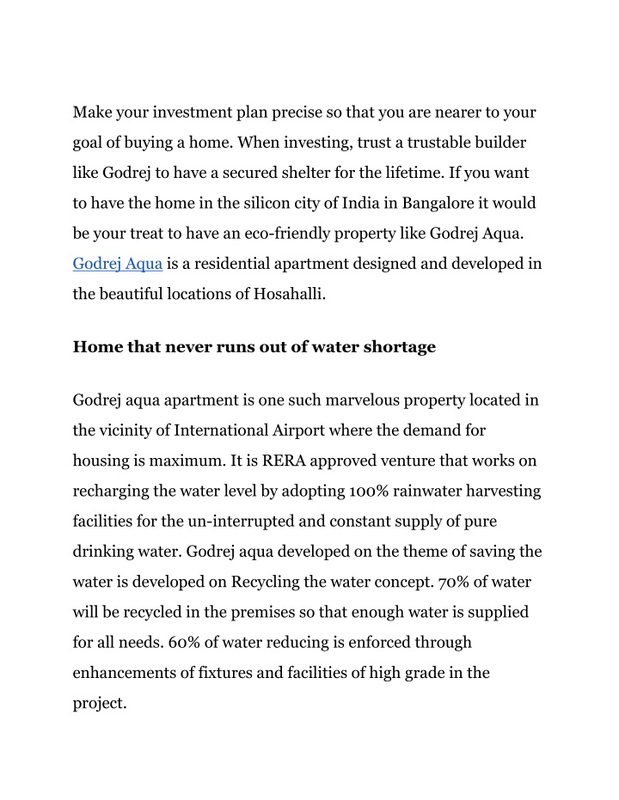 be your treat to have an eco-friendly property like Godrej Aqua. 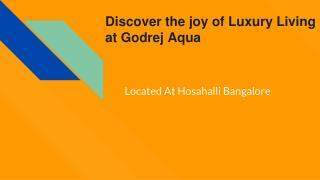 the beautiful locations of Hosahalli. 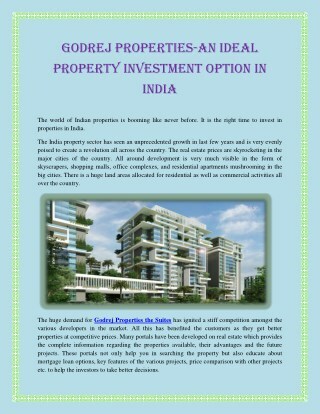 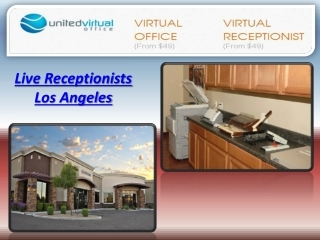 every abode of the property for the healthy living of the occupants. the way water is used at homes. 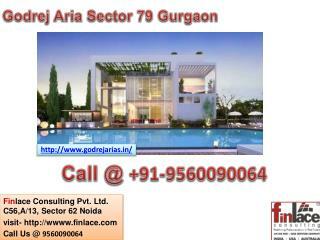 Best in class amenities for a luxurious way of life!! 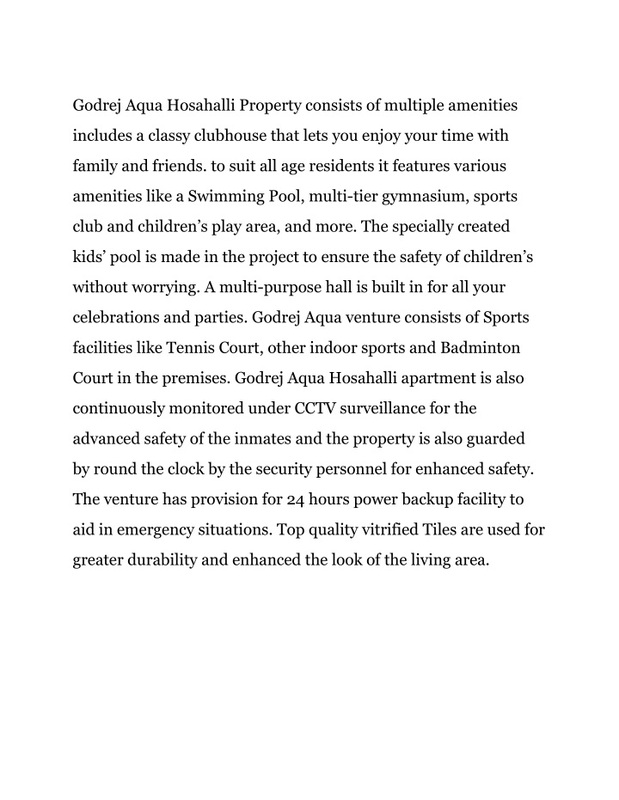 by round the clock by the security personnel for enhanced safety. 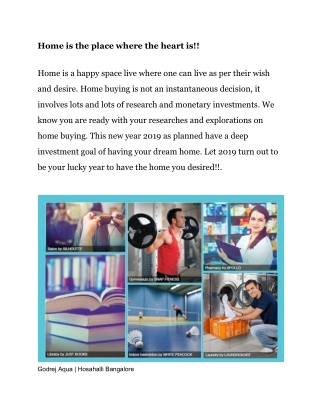 greater durability and enhanced the look of the living area. 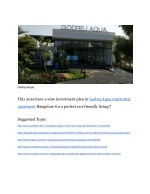 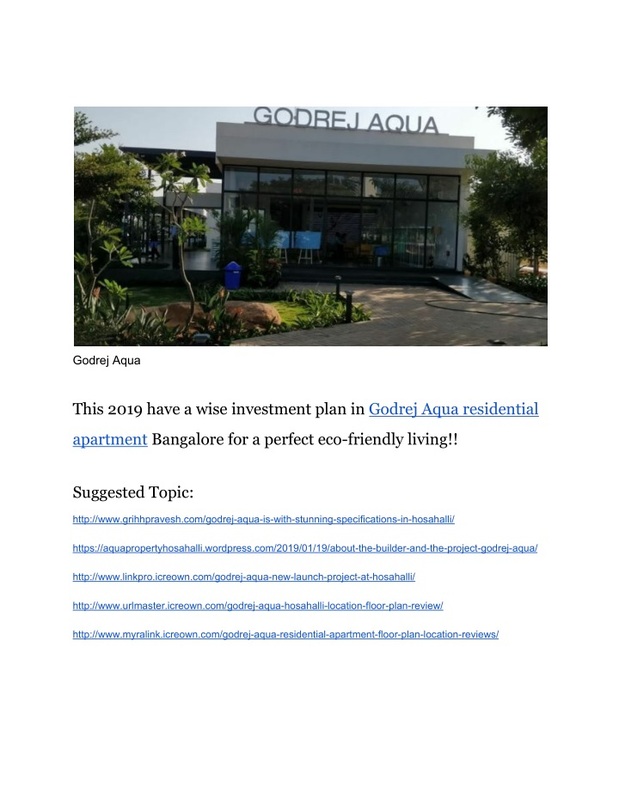 apartment​ Bangalore for a perfect eco-friendly living!! 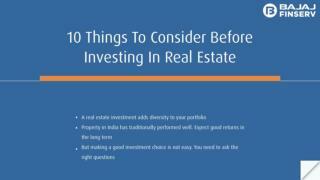 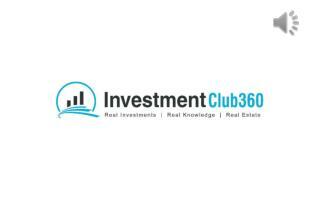 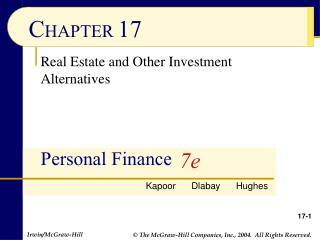 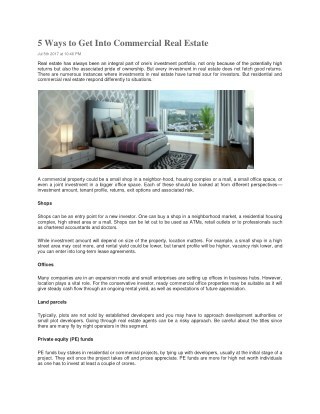 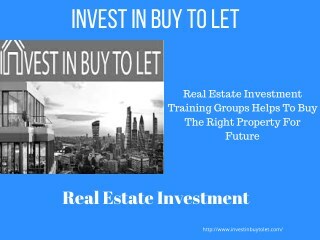 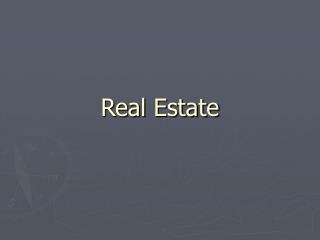 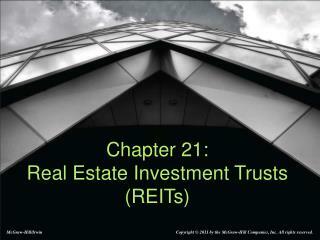 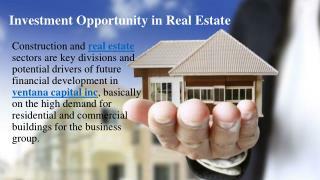 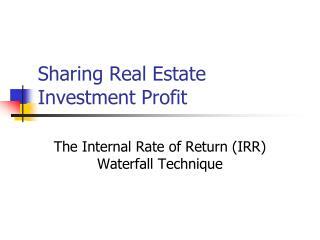 10 things to consider before investing in real estate -Real estate investment is one of the safest investment arena. 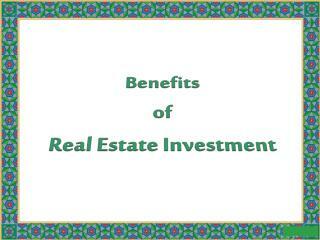 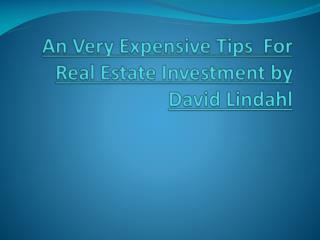 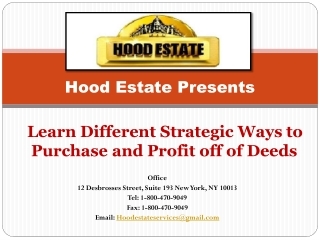 but there are certain things you should keep in mind before investing in real estate. 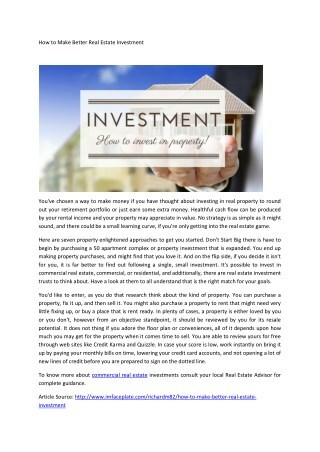 read the ppt to find out more.